Serbia becomes first to return to remaining Jewish community the property that belonged to Jews murdered in the Holocaust. Lebl is one of the last of Serbia's Jews who remembers the war. By the spring of 1942, more than 80% of the 33,000 Jews living in Serbia before the war had been killed, and the Nazis declared the country "free of Jews." Even today, there are fewer than a thousand Jews in Serbia. "After the war the authorities decided to return the property, but as so many people were killed, there was no one left to take back most of it," said Lebl. "The Jewish community has never recovered, because the loss (of human life) was so high." Presenting the new law in parliament, Justice Minister Nikola Selakovic said Serbia had a "moral obligation" towards Jews who "dedicated their lives and work to our Serbia." He said the move would also "contribute to a greater understanding of human rights, which is crucial for fighting and preventing racial and religious discrimination." Jewish history can be traced back to Roman times in the territory of present-day Serbia, with the community growing under the Ottoman Empire where they found refuge from the Spanish and Portuguese inquisitions. Jews supported Serbs in their 19th century independence struggle against the Ottomans and fought alongside them in World War I, peaking in number just before World War II. Lebl was one of the few Jews who avoided the wartime mass shootings and death camps by slipping out of Serbia on a false pass, and he later joined the Yugoslav Partisans' fight against the Nazis. "I only realized the extent of the killings when I came back from the war... The list is pretty long, between 20 and 30 people from my family were killed," Lebl told AFP in his Belgrade home. Jewish groups have repeatedly urged Europe's ex-communist states to return, or provide compensation for, assets seized from Holocaust victims estimated to be worth billions of dollars, but few have fully tackled the issue of returning unclaimed property. In 2009, 46 countries signed the Terezin Declaration, named after a Czechoslovak wartime ghetto, urging the restitution of stolen Jewish assets and social aid for impoverished Holocaust survivors. The United States said Serbia was the first country to pass such a law on heirless property since then, calling on other governments to take similar action "where justice has long been denied." Poland, which had Europe's largest pre-war Jewish community, in 2011 suspended work on compensation legislation for property seized by Nazis and post-war Polish communists, intended to apply to both Jewish and non-Jewish victims of expropriation. Warsaw argued the law would swell the nation's debt to the point where it would breach a European Union (EU) debt ceiling. In Serbia, some buildings will not be given back because they have been privatized or now house public institutions such as schools or hospitals - hence the state's extra financial support to the Jewish community. "We have identified more than 3,000 buildings seized during World War II by Germans," said Fuks, adding that the properties listed so far were in Belgrade, central Serbia and a small part of northern Vojvodina province. In other parts of Vojvodina which were occupied by Nazi-allied Hungarians or Croatians, seized Jewish property is yet to be tracked down and listed. One of these areas, Backa, was once home to half of all the Jews in Serbia, Fuks said, hinting that the final amount of property due to be returned is likely to be much higher. Fuks said the new law offered a chance to commemorate properly those who were killed and to fight against the intolerance that almost destroyed the community. 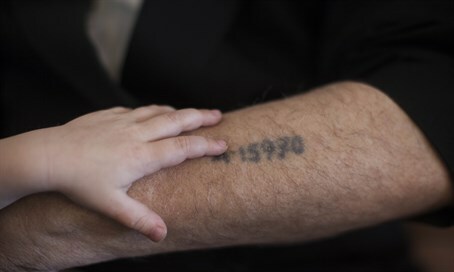 It also means Holocaust survivors can "live with fewer worries in the last years of their lives, after the horrible personal experiences they have been through," he said.